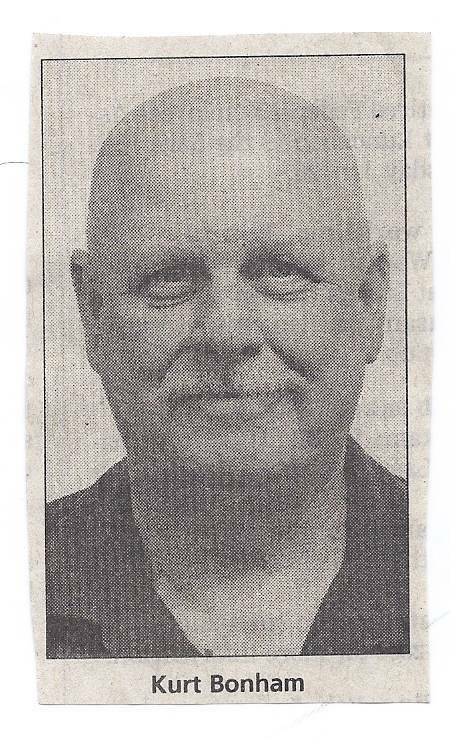 kurt bonham hates non-profits ? AND it seems EVERYTHING ELSE ? Evidently, he never knew what he was talking about. 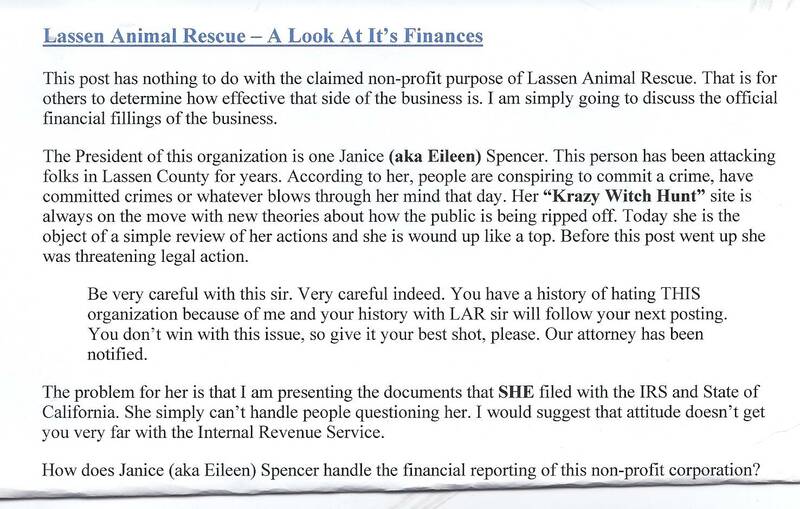 "Lassen Animal Rescue is a "private" 501 (c) 3 Non-profit corporation and is funded solely by private donations. LAR is not a trust nor a foundation. 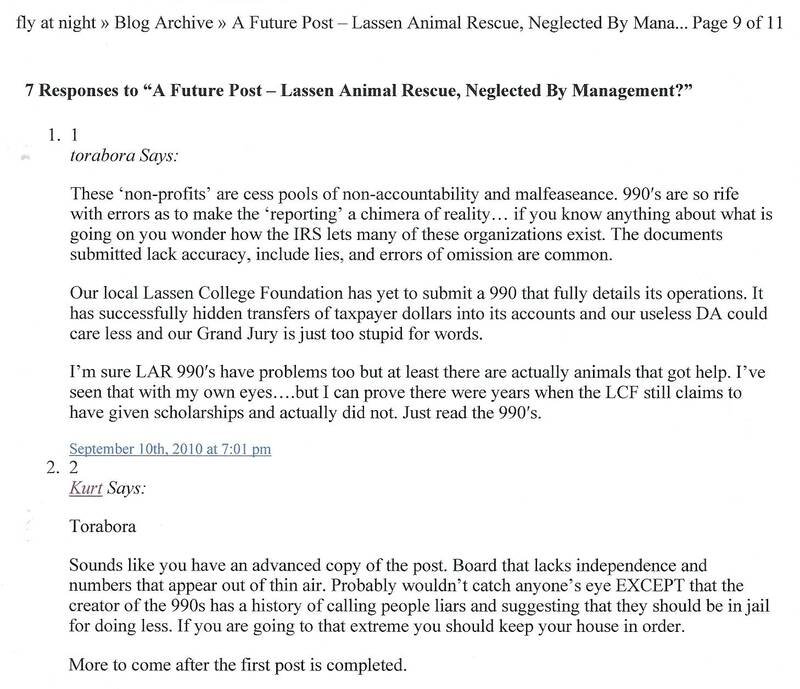 LAR has rescued and successfully placed 1143 dogs and cats in less than 4 years. Non-profits books are always open to the public. Because of the economy, this year has been a particularly hard year for animal rescue organizations. 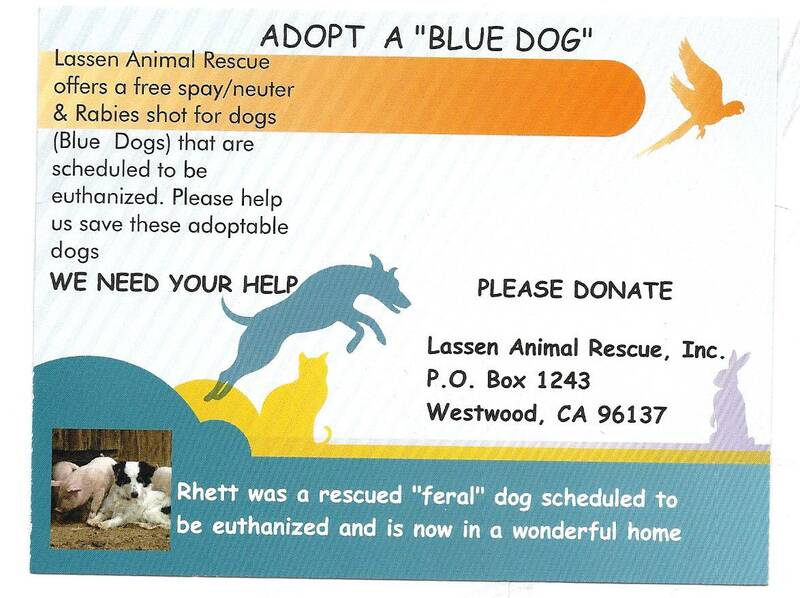 LAR sponsors the "Blue Dog" program at the Lassen County Animal Control. This program offers free spay or neuters and a Rabies shot to dogs that have been placed on the euthanasia list. This one year old program has been very successful and gives the "death row" dogs a second look. 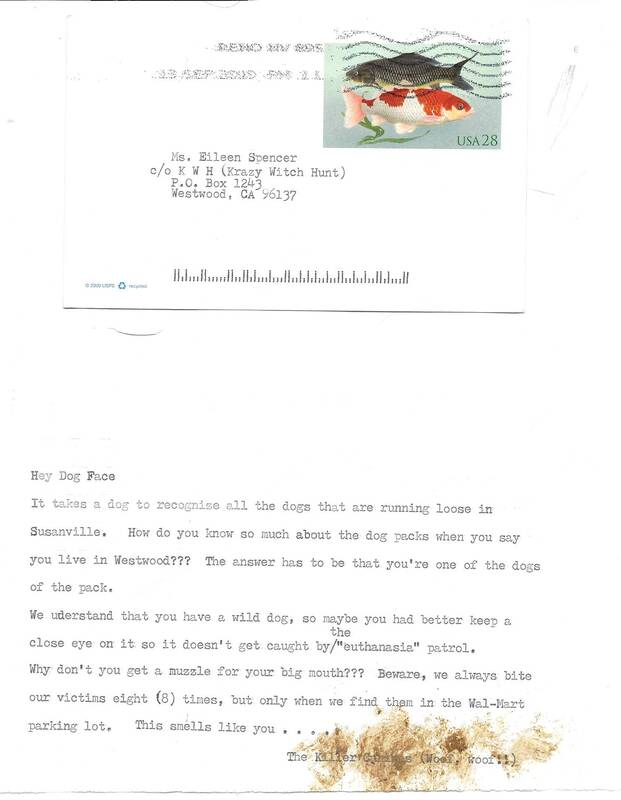 The complaints he sent to the Internal Revenue Service were ignored because they lacked any validity. WHAT A SHAME. THERE HAS TO BE A BETTER WAY TO GET ATTENTION.